There are only a few reasons we buy a car; we buy a car because we have to, or because we want to. If the old clunker in the driveway has more than 100,000 miles on it, mismatched tires, and can reveal our families history dating back to infancy thanks to the stains inside, then we are probably in the “have to” category. After all we probably live paycheck to paycheck and consider a night of fine dining a trip to Wendy’s instead of McDonalds. In this case, we get a car we can afford, something that meets our needs while allowing us to continue making an occasional trip to Wendy’s. On the other hand, if we are a bit higher in status our car may have far fewer miles on it, get detailed once a week like a poodle going to the groomer, and park it in the garage, with plenty of room left over. These folks are in the “want to” category buying a new car because they can. It’s the latter category that Ford is trying to appeal to with its Lincoln brand. The brand that nearly died out not so long ago has enjoyed a resurgence in the past few years. In 2015, Ford’s luxury division introduced an all new small SUV. Sadly, Lincoln hasn’t paid me anything, but I did get a chance to spend a week with a 2016 MKC recently. I got to spend a week with the MKC’s bigger cousin, the MKX a few months ago; liked it, liked it very much. While the MKX has been around since 2006. It’s large, slotting just below the Navigator (which is otherwise known as a cruise ship on wheels). 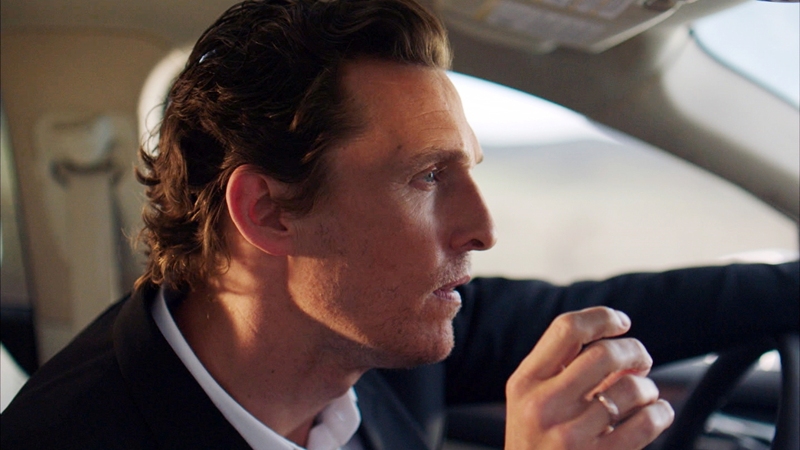 The MKC, as McConaughey let us know, is an all new smaller version of the MKX. It slots competes with the BMW X1, Lexus NX, and the Infiniti QX30 among others. 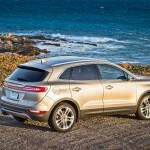 The MKC shares a platform with the Ford Escape, but is far from simply a dressed up version of an Escape with a bowtie. It’s longer, wider, lower and quite distinctive, both inside and out. 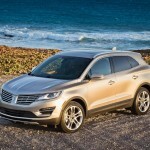 After being introduced just last year, for 2016, the MKC received few changes. There is some tech upgrades, a bit higher towing capacity for the Tow Trailer Package, a new Climate Package with a windshield wiper de-icer and some new color options. 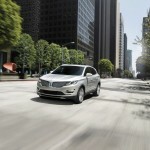 There are four levels for the MKC: Premiere, Select, Reserve and Black Label. The base Premiere is pretty loaded with standard features; xenon headlights, LED taillights, rear parking sensors, heated mirrors, rear privacy glass, keyless ignition and entry, dual-zone automatic climate control. 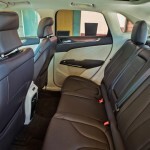 There’s also an eight-way power driver seat with power lumbar with leatherette upholstery, four way power passenger seat, with both front seats heated. 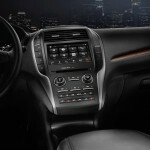 On the tech side there is an 8-inch touchscreen with the Sync 3 interface, a rearview camera, voice controls and a nine-speaker audio system with two USB ports, Bluetooth and satellite radio all atop 18-inch wheels. You can add a Select Package option, which gets you full leather, power-folding and auto-dimming side mirrors, , a power liftgate, an eight-way power passenger seat with power lumbar, ambient interior lighting and a cargo cover. Moving up to the Reserve trim turns the power liftgate into a hands-free operation. The front seats add ventilation, a power tilt-and-telescoping steering wheel, navigation, blind spot monitoring with rear cross-traffic alert, a panoramic sunroof, and a 110-volt power outlet. There is also a system that allows for remote access via a smartphone app. The top of the line Black Label adds a distinctive black grill, roof rack, simulated suede headliner with an upgraded leather that extends to the door panels and gauge-cluster hood and 19-inch wheels. 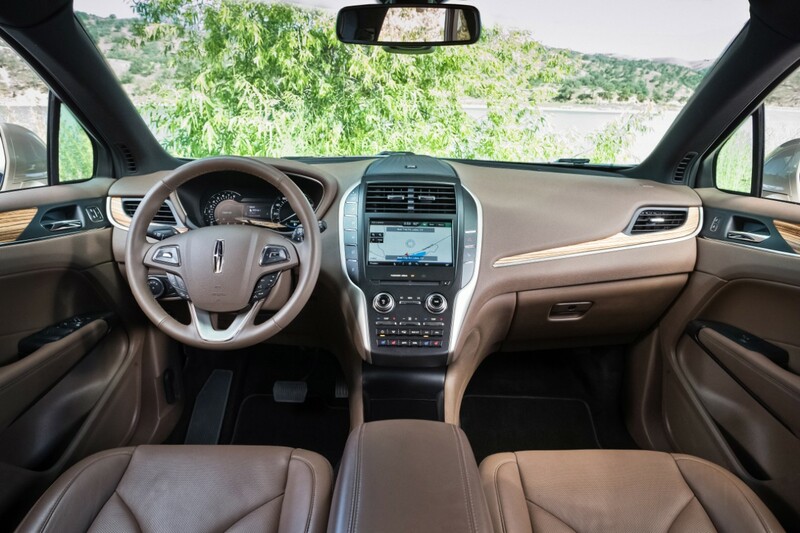 The Black Label model includes the choice of four exclusive interior design themes and gives the owner entry into Lincoln’s Black Reserve program. The new program gives owners perks like a personalized shopping experience, no charge car detailing and washes, a longer warranty that includes concierge pickup and loaner cars. There are also reservations and a special menu at a small group of partner restaurants. There are a few option packages available. 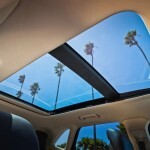 The Climate Package adds automatic wipers, heated rear seats and a heated steering wheel, and automatic high beams. The Technology Package adds front parking sensors, a forward collision warning system and an automated parallel-parking system, adaptive cruise control, and a lane-departure warning and intervention system. The stand-alone options include adaptive suspension dampers, 19- or 20-inch wheels and a 14-speaker surround-sound audio system. 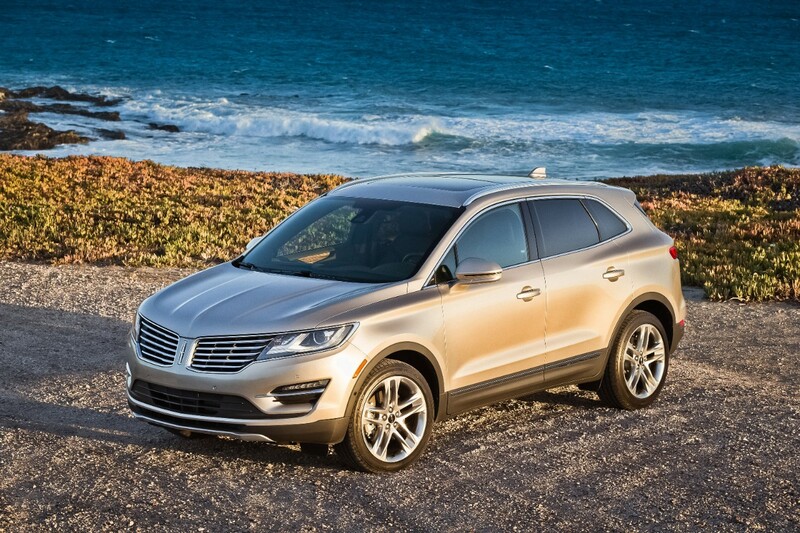 Under the hood, the MKC has a choice of two 4-cylinder engines mated to a six-speed automatic transmission. Front wheel drive is standard, all-wheel drive optional. The standard powerplant is a 2.0-liter engine with 240 horsepower and 270 pound-feet of torque. The optional 4-cylinder Is a 2.3 liter EcoBoost with 285 hp and 305 lb-ft . It’s only available with all-wheel drive. My tester for the week was the AWD Reserve, with the Technology and Climate Packages with the 2.3 liter EcoBoost under the hood. 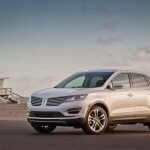 As with the MKX, I like the look of the smaller MKC. With its low wide stance, the MKC is indeed a world apart from its Edge cousin. 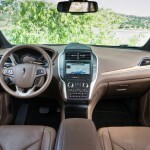 Unlike the MKX, the interior of the MKC can be best described as “cozy”. There isn’t a great deal of extra room, but it’s not cramped. Taller occupants may find close quarters but average riders shouldn’t have an issue. One of the many things Ford has gotten right in the last decade is the EcoBoost engine, and in the Lincoln the 2.3 EcoBoost scoots the 3963 pound MKC on the road and the ride is as smooth as you would expect in a Lincoln. The interior cabin noise is nearly non-existent and overall the gauges are well laid out and the touchscreen is to use while underway. Cargo volume behind second row: 25.2 cu. ft.
Total passenger volume: 97.9 cu. ft. Interior volume (min. cargo/max. pass. ): 123.1 cu. ft.